In the late 90s Adrian Paterson, studying feather lice on birds in New Zealand, speculated that many parasite species of introduce birds species would not be present because they had 'missed the boat'. When birds, like sparrows and blackbirds, had been collected in Great Britain to be brought out with colonists to release in New Zealand, there was always a chance that a particular louse species might not be present on the individual birds collected and therefore never even had a chance to establish. Paterson had some limited data to support this idea. The results were interesting. About 38% of UK louse species actually have colonised New Zealand successfully. Of those that failed, only 5% are predicted to have missed the boat. That is, it is likely, given the numbers of individual birds brought to NZ, that almost all louse species should have at least got onto the ships. Another third failed to establish because their host species also did not establish (which we term 'sinking with the boat'). 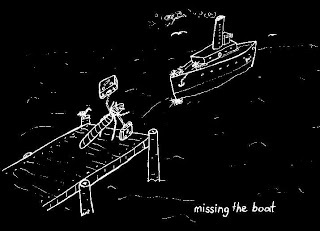 Finally, 27% are 'lost overboard' where their hosts are successful but for some reason the louse species did not survive the colonisation event (perhaps because of low numbers). This is a rather surprising result as it tells us that a successful host colonisation is simply not enough to ensure a successive parasite invasion. This is promising in our efforts to stop the spread of pest species. Most environmental problems of today are caused by people super-sizing nature. Too much CO2. Too much nitrate in lakes and streams. Too many fires. Too many invasions. These things are all part of nature's music but we've turned up the volume on some instruments. Way up. The music's not sounding so good any more. I made some calculations in a recent paper in the New Zealand Journal of Ecology showing just how far New Zealanders have turned up the volume on species invasions. Not surprisingly, it's a lot. This is usually tricky to do because it's hard to know the rates with which new species have naturally invaded isolated places like New Zealand. Many, probably most, some suggest even all, of New Zealand's plants and animals are descendants of dispersal events from Australia and beyond long after New Zealand left Gondwana. Invasions have always been part of New Zealand nature. But how much? The Chatham Islands, off the eastern coast of mainland New Zealand, offers a useful opportunity to figure out just how much people have turned up the volume on invasions in the New Zealand region. The Chathams archipelago has most recently been above the ocean for about 3.5 million years (the precise age is still being debated by geologists, but it's likely between 2–4 million years). All of the terrestrial species currently on the Chathams therefore had to invade since then. The nearest land is >650 km away on the New Zealand mainland, which is a very long way to swim, fly, or drift. Still, 3.5 million years is a long time to play Lotto and so prior to human arrival the Chatham Islands had accumulated a lot of lottery winners: 392 plant taxa, 64 breeding bird species (including recent extinctions), and 283 beetle species (references for these numbers are in the paper). The first people arrived in the Chathams about 500 years ago and changed the rules of the lottery. The Chathams have since accumulated a further 396 wild plants, 16 breeding birds, and 39 beetles, and more keep arriving. Since the great bulk of the new species arrived after European settlement 218 years ago, this represents an increase in the successful invasion rate of >16,000 times for plants, >4,000 times for birds, and >2,000 times for beetles. Note that these estimates exclude unsuccessful invasions, both before and after human arrival. Note here that I am comparing the rates at which species arrive and establish. My pre-human estimate of natural invasion is complicated by several factors. Three million years is a long time and spans some substantial climatic changes in the region, including the Ice Age Pleistocene epoch. 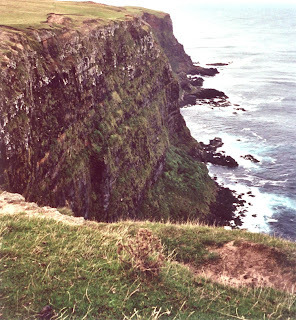 The current known list of Chathams species most likely misses some species that arrived, established, and went extinct. This will mean that I am underestimating the natural invasion rate. Any species that arrived, went extinct, then re-invaded from mainland New Zealand again, perhaps many times through the cycles of glacial maxima and minima, are counted as one invasion. This will also mean I am underestimating the natural invasion rate. In contrast, any species that have arrived, established, then speciated into several species will result in my overestimating the natural invasion rate. While important details, none of these uncertainties are likely to alter my estimate of natural invasion by anything close to a thousand-fold. A common justification I often hear from people who don't want to alter their lifestyles to benefit their environment and future generations is that it's all natural anyway. Why should we remove known weeds from our gardens or stop releasing exotic fish into rivers? All these new species are just nature running its course. Let them be. That argument is clearly not valid. An increase in plant invasions of 16,000 times is simply not natural and neither are the disruptions they are causing to the invaded ecosystems. One of the contentious debates in New Zealand biogeography (the science of explaining the geographical distribution of species) is about what happened at the end of the Oligocene period (24-21 million years ago). We have known for a long time that most of New Zealand's current land area was underwater during this period. However, a recent paper in The Geological Magazine reviewed the geological and biological data for any sign of land during this time and decided that there was no convincing evidence. The authors, including Adrian Paterson from Lincoln, suggested that the possibility of complete submergence of New Zealand during this period was something that had to be seriously considered. This has been a controversial idea because it means that all of the species native/endemic to New Zealand had to have arrived here from somewhere else over the last 20 million years. All of them. Kiwi, tuatara, kauri. Our blog has commented on this issue here, here, here and here. The Geological Magazine has now published a response to the earlier paper by Mike Pole and a reply from the original authors. Pole has raised a number of issues with the original paper and concludes that the New Zealand flora does not support the idea of total submergence. Landis and company have responded in several ways. First, they are surprised at Pole's comment because in a landmark paper in 1994, which inspired the current research, Pole said ‘it is probable that the entire forest flora of New Zealand arrived by long-distance dispersal.’ Second, Pole states that there are coal deposits in Southland that may have accumulated through the Oligocene which means there were continuous forests growing (on land) through this period. Landis and company point out that it is difficult to show continuous deposition of organic material (it could be interrupted for considerable periods) and that the dating of this lignite seam is fairly broad (and could easily be from the late Miocene - after the drowning and when New Zealand had begun to emerge). Hamish Patrick, an undergraduate at Lincoln University, was awarded a summer scholarship to survey the Lepidoptera fauna of Otamahua from November 2009 to February 2010 with his supervisor Mike Bowie. 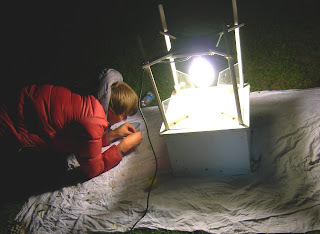 Light-trapping on Otamahua involved using a powerful mercury-vapour lamp powered by a portable generator. During his nocturnal forays Hamish collected, curated and identified many species over his summer scholarship and has increased the known Lepidoptera taxa on Otamahua to 149 species. Some of the species collected were thought to be rare including an undescribed Eudonia species that feeds on moss of coastal rocks. Otamahua an island in Lyttelton Harbour, Banks Peninsula is being ecologically restored by the Quail Island Ecological Restoration Trust. The Trust has planted 80,000 trees over the last ten years and introduced mammals have been eradicated. The ecology of the island is changing and with the flourishing vegetation some native bird species are increasing in abundance. Flying insects, like birds, can recolonise the island once habitat requirements are met. Larvae of or Lepidoptera (moths and butterflies) are herbivores that feed on a large variety of plant, moss, lichen and other vegetative matter. New Zealand has about 2,000 species of Lepidoptera of which 92% are endemic (not found anywhere else), the highest in the world. Monitoring Lepidoptera in an area can provide a measure diversity that can be compared to other sites of similar habitat. Recommendations from his report suggest supplementary planting of larval host plants to enhance habitat for the rarer moth species. The Canterbury Knobbled Weevil (Hadramphus tuberculatus) was thought to be extinct since 1922 but was recently rediscovered in 2004 in Burkes Pass Scenic Reserve. H. tuberculatus is a large, flightless weevil that lives on a specific host plant known as speargrass/Spaniard (Aciphylla aurea and possibly other species). The Department of Conservation gives this weevil its highestconservation status and it is perhaps New Zealand’s rarest invertebrate. Sam Rowland spent her summer searching for this weevil with her supervisor Mike Bowie in some exciting places such as Burkes Pass, Mackenzie Pass, Hakataramea Pass, Mt Somers and Lake Coleridge. 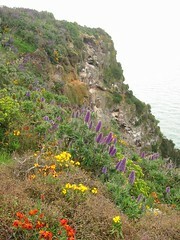 During her scholarship she collected many invertebrate species on Aciphylla. Peter Johns and Sam Brown were kind enough to identify some of the specimens she gathered, and it was found that some interesting species were collected. There are numerous threats thought to decrease the population of H. tuberculatus. These include fire, weed invasion, predators, possum and rabbit grazing and loss of Aciphylla habitat. Since this summer the species was only thought to be found in Burkes Pass Scenic Reserve. Many years of sampling in areas where the Canterbury Knobbled Weevil was known to be present in the past or where Aciphylla is distributed has turned up negative for the species. This year Emily Fountain, Ben Wiseman and Sam Rowland found a new population adjacent to the Burkes Pass Scenic Reserve on private farmland.